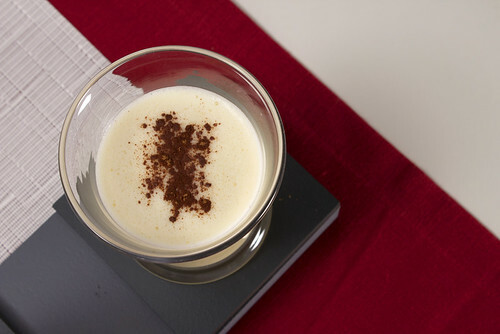 Homemade eggnog is always much better than the store bought. Granted, it takes more time to make it but the flavor is outstanding. Beat egg whites with half the sugar until stiff peaks form; set aside. Beat egg yolks with remaining sugar until thick and lemon colored. Heat 1 quart milk on low heat until scalded. Remove from heat; add salt and evaporated milk. Let cool. Fold egg yolks into cool mixture, then fold in beaten egg whites. Chill; sprinkle with nutmeg and serve.